When a filling is required, Dr. Sims and Dr. Kapur can provide aesthetic tooth colored/bonded restorations. This simple procedure offers protection and looks natural, since the composite dental filling is closely matched to the color and shape of your surrounding teeth. If you have received fillings over the years, the dentists and staff at Lincoln Dental will closely monitor them for any signs of failure. After years of use, fillings can start to break down at the edges, which can lead to new decay or weakening of the surrounding tooth structure. 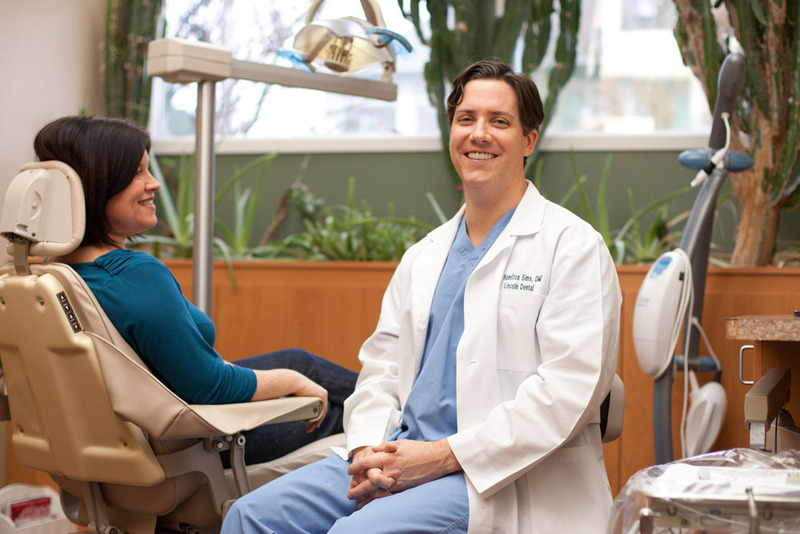 Our goal at Lincoln Dental is to provide dental work that looks and feels natural. We exchange existing crowns and fillings with restorations that are imperceptible. Fitting a crown requires two visits to Lincoln Dental. Initially, Dr. Sims and Dr. Kapur will get rid of any decay, shape the tooth as needed, and then fit the tooth with a temporary crown. On the subsequent visit, Dr. Sims and Dr. Kapur will remove the temporary crown, replacing it with a permanent crown. Once adjusted, if necessary, the permanent crown will be cemented into place for a beautiful-looking tooth.